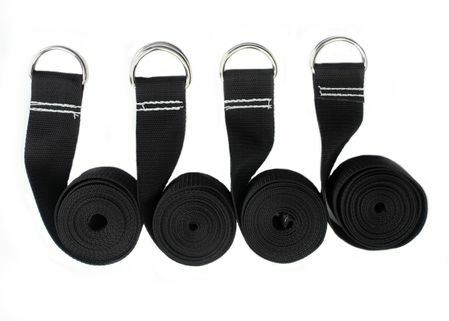 Our premium straps are made of heavyweight black polypropylene webbing. They are solid black throughout with no indicator lines or markings. The straps have a 1600 lb breaking strength and a working load limit of 533 lb.